August 17, 2016, 4:27 p.m.
With Theresa May off on a walking holiday in Switzerland, things have largely been quiet in Westminster, save for an Owen Smith gaffe in yesterday&apos;s Labour leadership hustings. 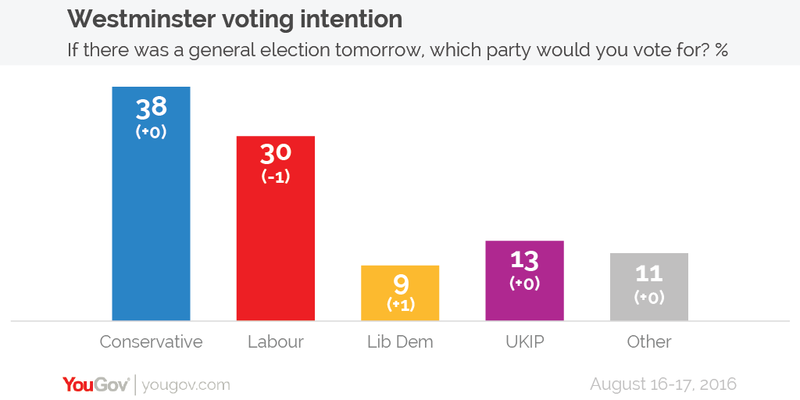 The holiday boredom seems to be reflected in this week&apos;s voting intention survey, with only very minor shifts in the numbers. The Conservatives remain on 38%, whilst Labour fall one point to 30%, giving a Conservative lead of eight points. Elsewhere, the Liberal Democrats are up one point at 9%, whilst UKIP remain static on 13% and the number of votes for other parties stays at 11%. 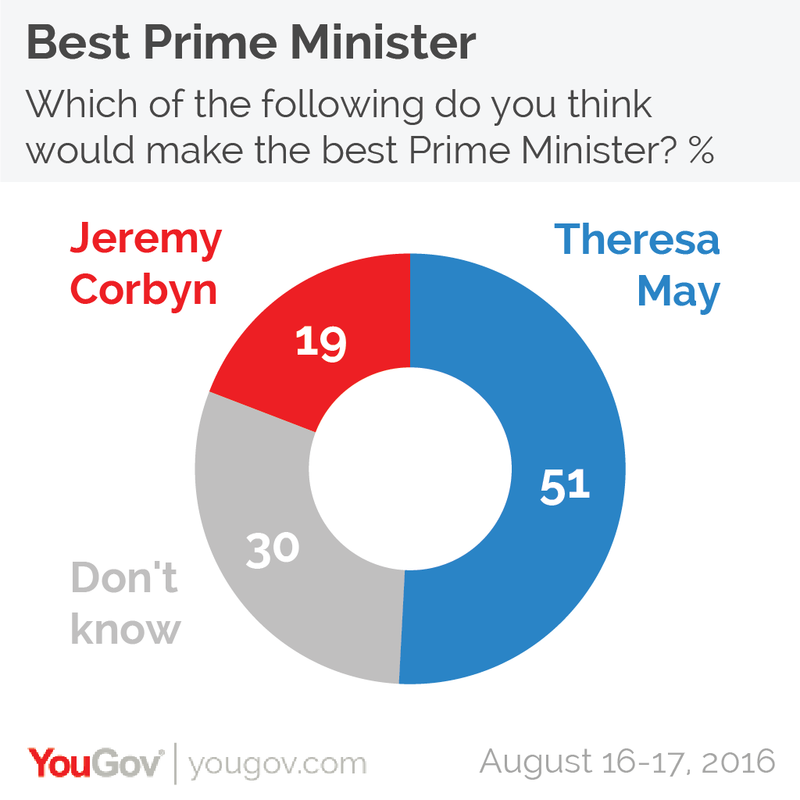 Public opinion on who would make the best Prime Minister is similarly sedentary, with Theresa May dropping one point to 51% and Jeremy Corbyn climbing one point to 19%. Three in ten people can&apos;t choose between them. The public remains in favour of having left the European Union, with 46% thinking the Brexit result was the right decision vs 43% who think it was wrong and 11% who don&apos;t know.